Just Skirts and Dresses: My 1940's knitted scarf + pattern! My 1940's knitted scarf + pattern! 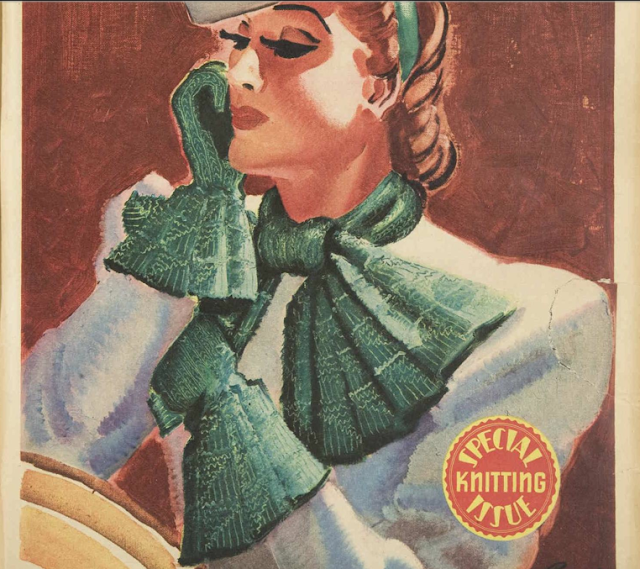 I found this very pretty knitting pattern on page 26 of the 9 march 1940 issue of the 'Australian Women's Weekly'. The color illustration was even on the cover! We are not used to knit without any pictures, it is always a guess whether the illustration is correct or there is a little bit of artistic freedom involved. Since I did like the illustration I wanted to give it a try. I'am not disappointed! The illustration is correct, the finished design has the pretty, pleated borders! - to make the edges look tight I slipped over the first stitch of every row (knit- or purlwise following the pattern) instead of knitting, though the pattern doesn't specify this. - I made the middle section longer than the length suggested in the pattern because I couldn't make a knot with the 22 in/56 cm. I simply tried this a couple of times when knitting and ended up with 80cm/31,5 in instead. 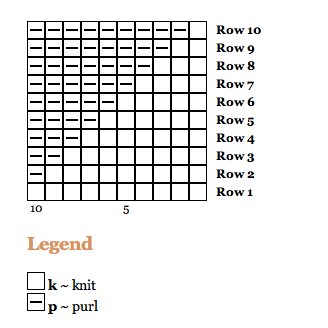 - Knit the pattern rows in total 6 times. Repeat Row 1 and 2 for a length of 22 in (=56 cm) and end with a Purl row. Notice: I do not own this pattern.